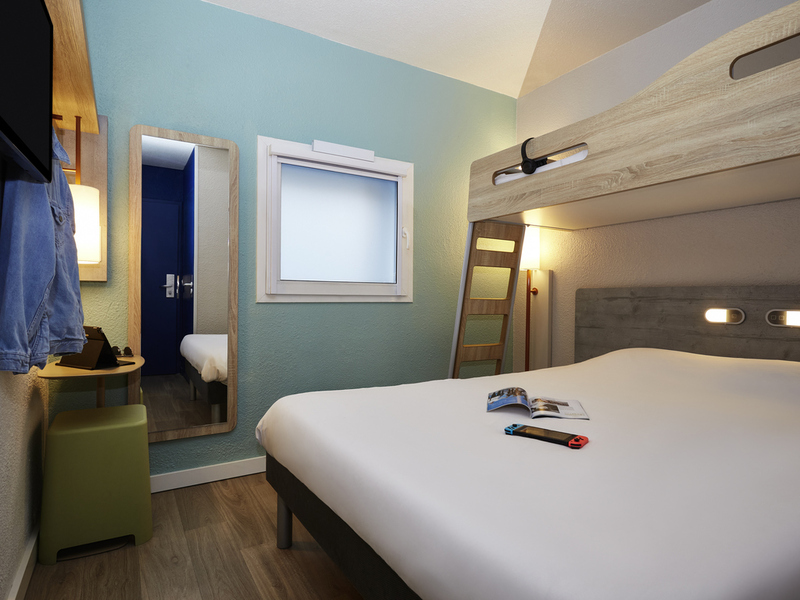 The ibis budget Lille Villeneuve d'Ascq is a 2-star hotel set in an ideal location, 3.1 miles (5 km) from Lille and 6.2 miles (10 km) from Belgium. Close to the new Stadium Lille Métropole Pierre Mauroy, the LAM modern art museum, Brigode golf course, Koe zio adventure park, the Decathlon Campus, Parc du Héron and the V2 shopping center, this hotel offers rooms for 1 to 3 guests and connecting rooms, suited to business trips and family stays alike. Enjoy 24-hour reception and free WIFI.